This week AI featured a new report from the think tank British Future called Crossing Divides: How arts and heritage can bring us together. with an article by its co-author, Jill Rutter, in which she held up the five year 14-18 NOW series of commissioned arts events as an exemplar of what can be done. Cynics might say that she would, wouldn’t she? After all, the report was commissioned by 14-18 NOW. But actually, she is entirely justified. It’s hard to say whether 14-18 NOW followed the zeitgeist of public participation in the arts or created it, but it took the trend up from the Cultural Olympics which had set out to make the London Games a truly national event by having eye-catching, head-turning events all over the country – 14-18 NOW had 107 of them, many of them free, in 220 different locations. The finale was Peter Jackson’s extraordinary film They Shall Not Grow Old, watched on TV by 3.9m and in cinemas by 78.000, and through the five years upwards of 35m of us got involved. 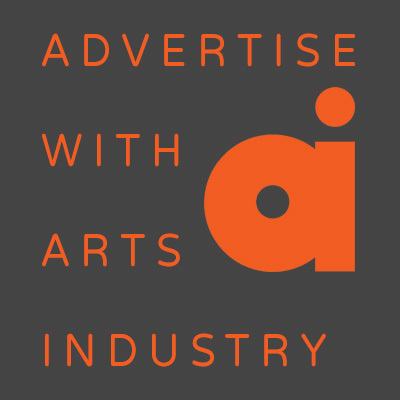 It’s no accident that the Cultural Olympics mastermind, Jenny Waldman, was also behind 14-18 NOW https://www.artsindustry.co.uk/feature/1051-wwi-and-the-arts-jenny-s-water-cooler-moment. It wouldn’t have happened except for the insistence in Cabinet of Maria Miller while she was briefly culture secretary, and it was a phenomenal success. The danger, of course, is that we’ll try to repeat it over and over again and fail. The next thing up is the end of the Second World War in 2020, followed by the Queen’s platinum jubilee in 2022 when the government is planning a Festival of Great Britain and Northern Ireland in a kind of retake of the 1951 Festival of Britain, itself a retake of the 1851 Great Exhibition. Don't bother, says the Britain Future report. We might not have recovered enough from Brexit to want to celebrate anything much next year. Stick to centenaries, less danger of devaluing the idea, and wait for a new monarch. What 14-18 NOW revealed was a huge national appetite for getting involved in things, and there are other ways of harnessing it. It wants more cultural funding going to the regions to nurture that appetite; it wants government funding to ensure national treasures from London get seen in the nations and regions; never mind national celebrations, let’s have local anniversaries celebrated; let’s get kids knowing about this patrimony through history education development committees for each of the four nations. These are all sound ideas – the report also wants “towns of culture” in years when there isn’t a “city of culture” which I have reservations about https://www.artsindustry.co.uk/taitmail/1466-taitmail-let-s-have-the-high-street-of-culture-for-every-year - but whatever is agreed needs to be properly organised. The cities, as AI has reported, are getting on with own cultural programmes, but they're doing it separately without, it seems, consulting with each other and learning from mutual experience and insight. The creative industries are contributing £100bn a year to the economy: so ringfence 1% of it a year to the UK’s towns and cities for a national organisation of Creative Highs. Jenny Waldman could chair it.